Get ready to Cozy Up when it starts to get chilly out! 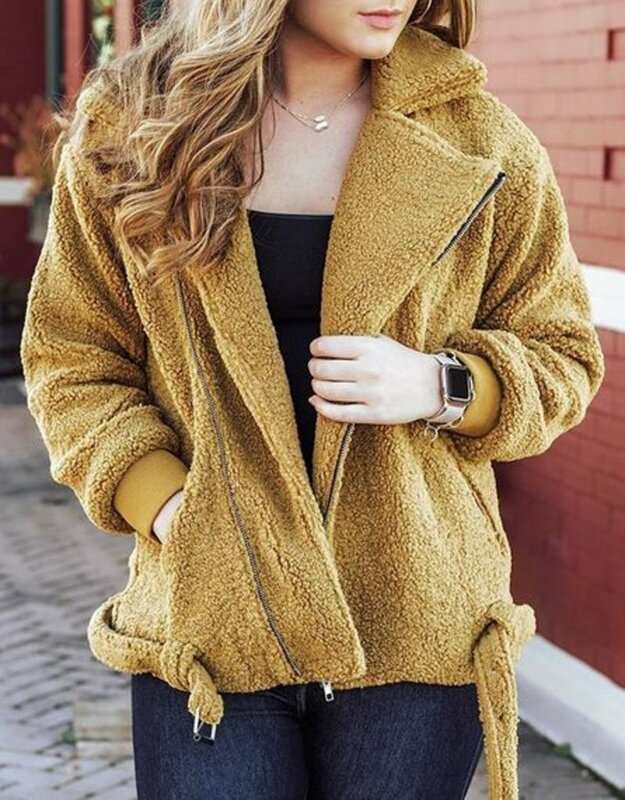 This mustard yellow jacket is the perfect way to bring the heat. Throw this chic, fuzzy jacket on with your favorite new flare jeans and some booties to show how HOTT the cold can be!